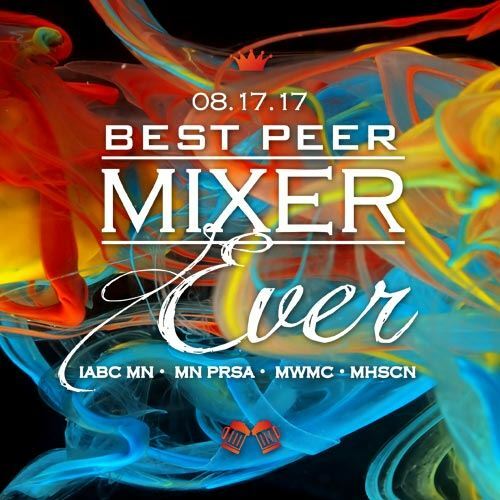 Make new connections and reconnect with old friends at the ultimate summer mixer for Twin Cities communicators. It's just $30 for everyone. More than a free cocktail! Mike LaFleur, the Principal at Ask Listen Innovate LLC will kick off the event by warming us up with a couple of games inspired by improvisational theater. He will show us how, with a few carefully selected questions, we get our networking contacts to open up. As a networker your job is to find your contact fascinating! Once they open up and they see just how well you understand them and their work, they are sure to turn to you for advice, and that is the opening of a mutually beneficial relationship. Mike LaFleur is Principal at Ask Listen Innovate LLC. He has used and taught his Ask Listen Innovate (ALI) methodology widely, over his 25+ year career, helping people to enter into illuminating conversations with their customers and prospects. Mike works as a sales and marketing consultant specializing in customer needs discovery and he runs a workshop teaching others to do the same. Most recently, he spoke at the National Association for Female Executives Twin Cities Leadership Summit. He can be found at asklisteninnovate.com. MHSCN thanks The Research Edge for supporting our participation in this event.